Occasionally, newborn babies pop out so amazing that videos and photos are taken and immediately shared with the world. Usually it's something along the lines of them coming out with a full head of hair, but occasionally it's a child that showcases an amazing amount of dexterity or awareness while being only hours old, and it's something everyone can definitely appreciate. The Sun reports that the nurse and videographer are speaking Portuguese. The nurse, who is wearing a face mask, exclaims, "Oh my gosh, the girl is walking. Good gracious!” The baby clings to her arm and starts pedaling her little feet. It's not an actual first step, of course, but if you've ever seen a newborn, you know they're not good for much besides sleeping and crying. 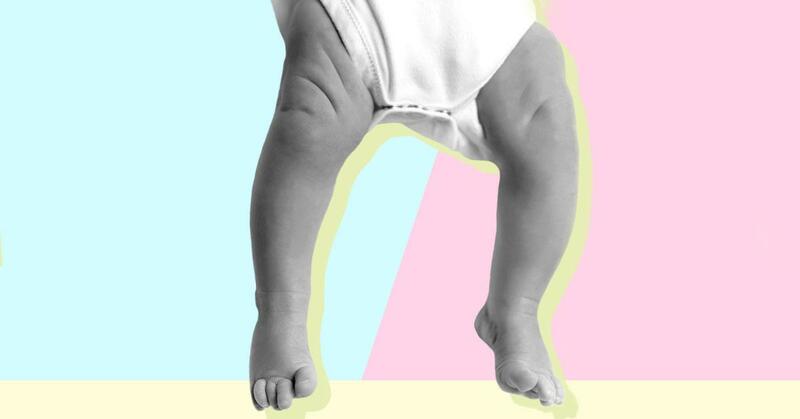 How did this baby get such strong legs? She must have been doing calisthenics in the womb. The videographer calls over someone else in the room, yelling, "Ju, Ju come and see this." The nurse, who has probably seen it all at this point, also seems completely astounded. “Merciful father. I was trying to wash her here and she keeps getting up to walk,” she says, pointing to where she laid the baby down, and how far the little one has traveled. “She has walked from here to here." According to What To Expect, it's a primitive reflex that lasts until they're about two months old. Then they have to learn all over again, sort of like when you don't go to the gym for a year. On the bright side, it seems like a lot of people are unaware of this hush-hush ability. So, if you have a newborn, and really want to set off some fireworks when family comes to visit, set the baby on their feet and act like you're totally surprised when they start stepping. Another miracle baby!